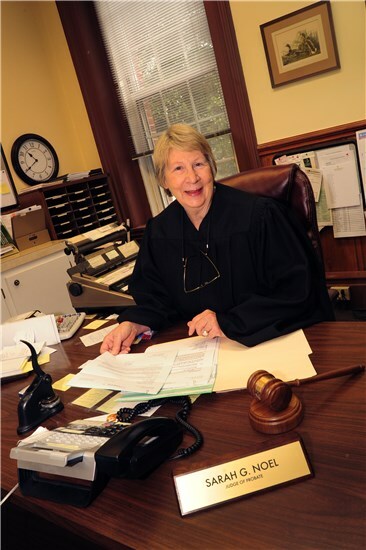 Judge Sarah Guess Noel was elected November 6, 2012, to serve a four year term as Probate Judge for Bamberg County. Born in Walterboro, she is the daughter of the late St. Clair Prothro Guess, Jr. of Denmark and Martha Gage Howell of Walterboro. Judge Noel's late husband was Lanny Wayne Noel of Beaumont, Texas. Educated in the public schools of South Carolina, Texas and Virginia, Judge Noel graduated from the University of South Carolina with a Bachelor of Science degree in Psychology in 1971. She enjoyed a career in Charlotte, North Carolina where she established a business providing temporary clerical support to the legal community. Judge Noel acted as Probate Clerk for Judge Nancy H. Green from 2010 until her election in 2012. Judge Noel and her family encourage all citizens of Bamberg County to become involved in their county government, to support their communities and to consider public service as a career goal.